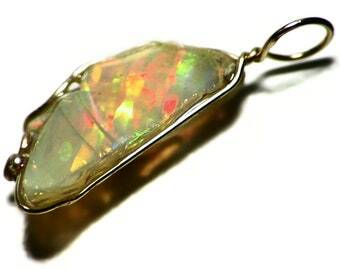 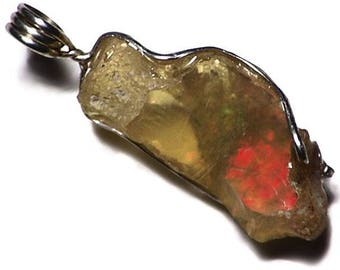 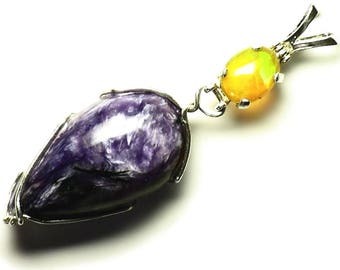 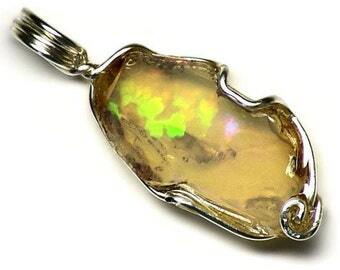 This pendant features a raw Ethiopian golden opal. 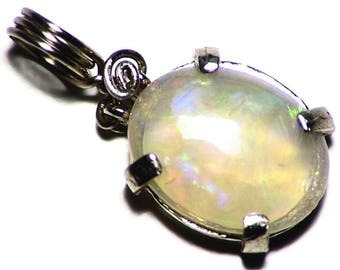 The stone measures 0.62 x 0.55 inches (15.8 x 13.9 mm) and weighs in at 6 carats. 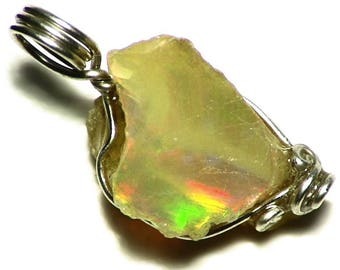 The deposit of opal in Welo Province, Ethiopia (also anglicized Wello and Wollo) has produced some truly spectacular stones. 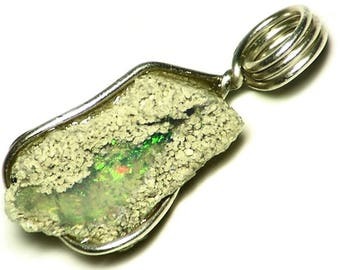 One thing that I like about this find is how unique each stone is. 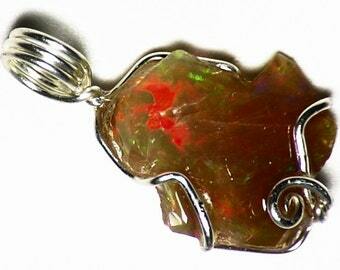 Fire, patterning and body color all vary quite a bit, giving each stone its own personality. 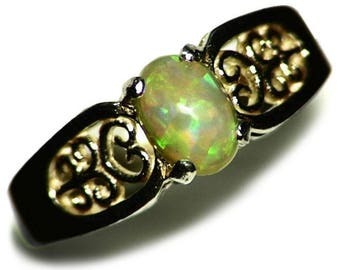 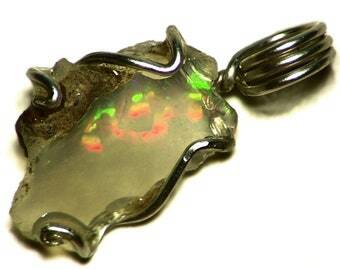 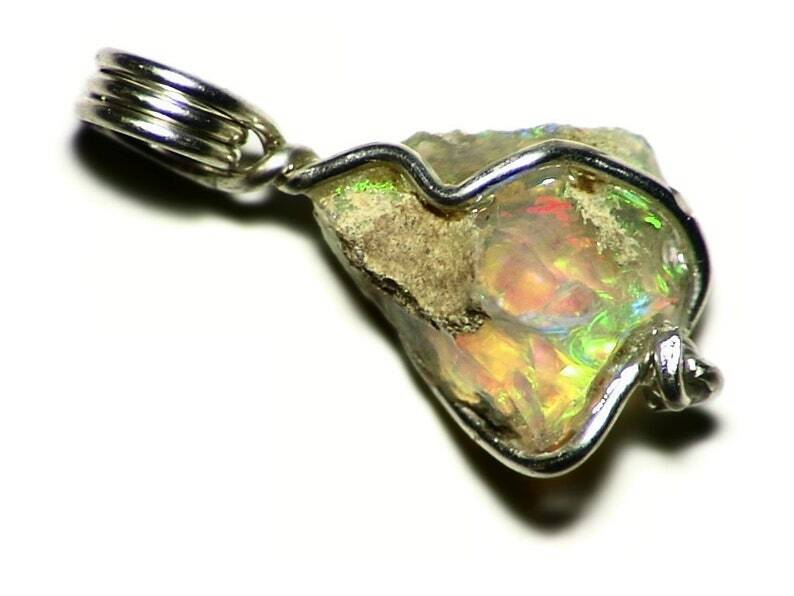 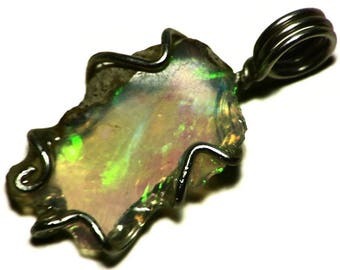 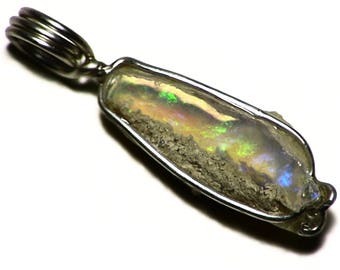 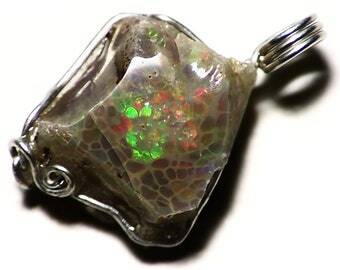 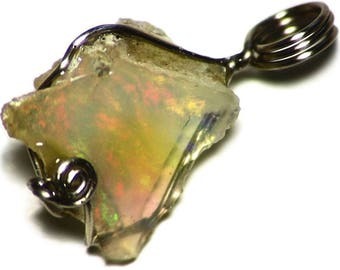 This stone is a nice example, with a transparent base and brilliant rainbow fire.